“Did you know that short-haul flights produce over 40% of aviation emissions? With our aircraft, we believe these will be largely eliminated within twenty years. Our aircraft are ‘hybrid-to-electrics’ that sip fuel only when they have to, will use even less over time as batteries upgrade, and will one day go completely without – so that flying will be kind to the Earth,” enlightens Zunum Aero on their webpage. “JetSuite, with its tradition of shifting paradigms in aviation, is an ideal partner for us in this launch collaboration. We have a shared vision for fundamentally transforming and improving the way that people live and travel,” said Ashish Kumar, Zunum Aero’s CEO. Zunum aircraft boasts of its highly efficient, less emission, and quiet twin propulsors, which are driven by electric motors. As a back-up system, the plane also has a combustion engine. Its wings carry the battery packs instead of jet fuel. Its model ZA10 offers a range of 700 miles, making it suitable for JetSuite;s private charter operation. 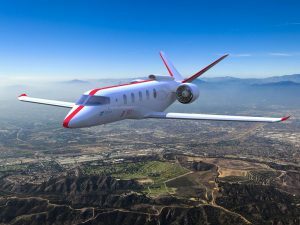 Zunum also plans to provide a larger model, ZA50, which can fly up to 1,000 miles, for JetSuiteX scheduled flight service. The startup company believes that this new venture in aviation and transportation would advance faster than expected considering the funds provided by its investors. Other aircraft manufacturer who is also venturing into this sector is the Airbus SE of Europe, in partnership with EasyJet Plc and NASA. Zunum Aero is a Seattle-based startup whose investors include Boeing HorizonX, JetBlue Technology Ventures, and the State of Washington Clean Energy Fund. Since its inception three years ago, Zunum has been developing, designing, and building prototypes for electric motors, power and thermal systems, electronics, quiet fans, and control platforms. According to CEO Kumar, the startup company’s future works include modification and electrification of an existing twin-engine aircraft in stages for flight tests. Their workstations are found at Zunum centers in Washington, Illinois, and Indiana.